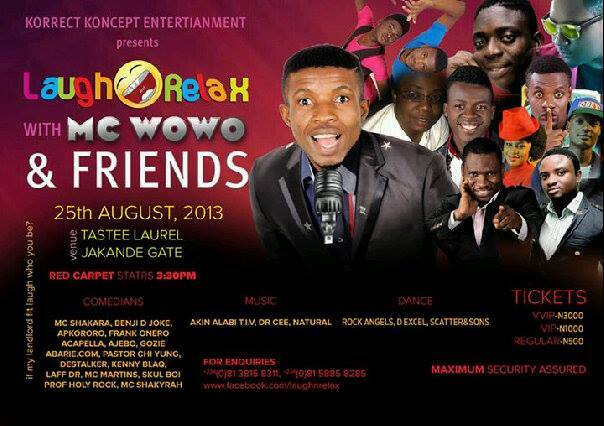 D'NATURAL (ACAPELLA): Laugh and Relax with MC WOWO and Friends. Comedy- benji d joke,shakara,akpororo,frank onero,acapella,ajebo,kenny blaq,abarie.com,gozie,pas chiyung,destalker,laff dr,mc martin,skul boi,mc shakirah,prof holy rock. 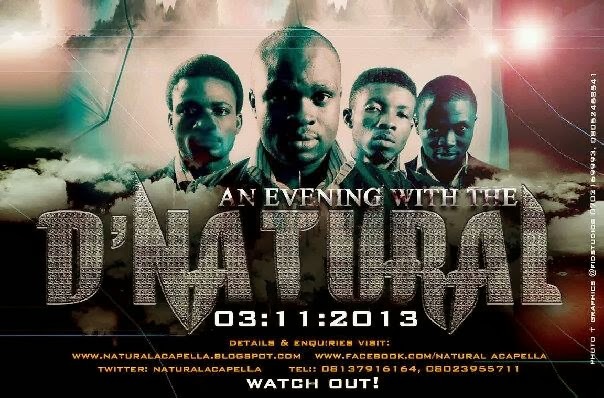 MUSIC- TIV(Akin Alabi),D' NATURAL,Dr Cee. Dancer- Rock angels,D excel,scatter n sons. Red carpet starts by 3:30pm,venue- tasty Laurel, jakande gate. 25 Aug 2013. 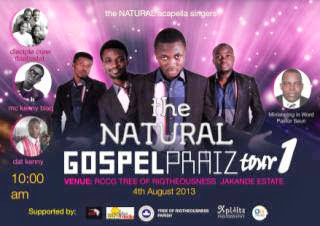 Ticket- regular:500, Vip:1000,VVip:3000... No dull moment.